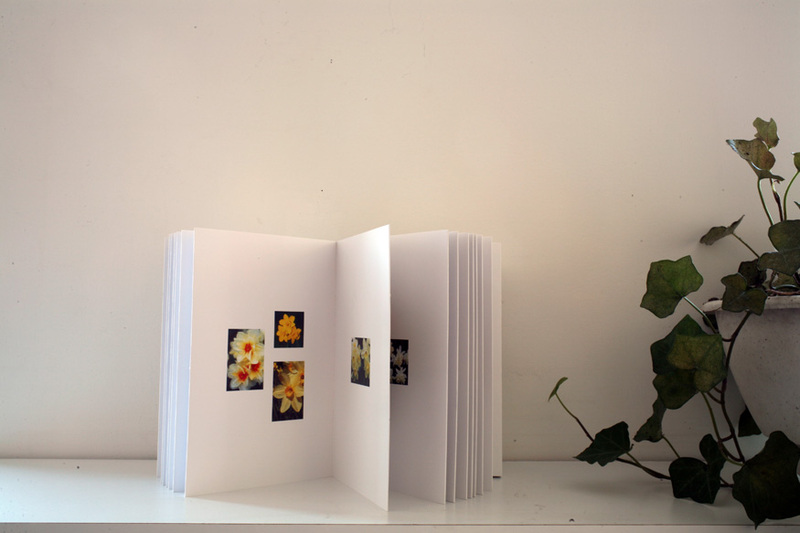 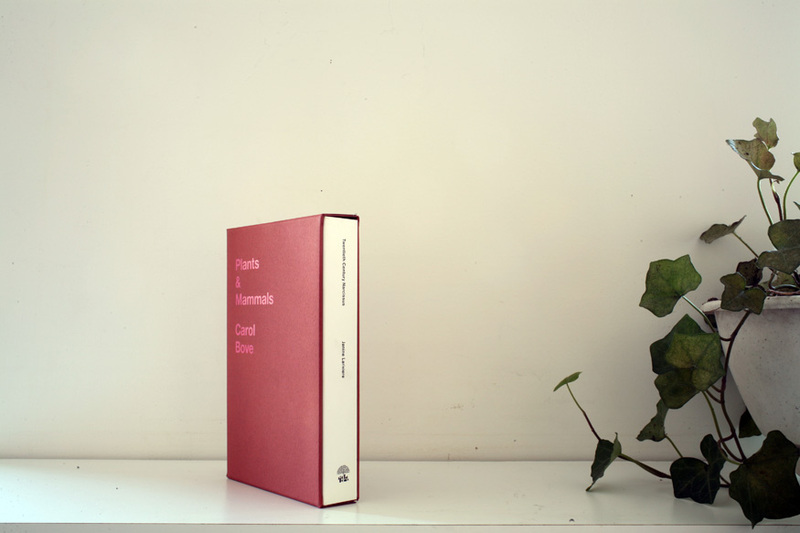 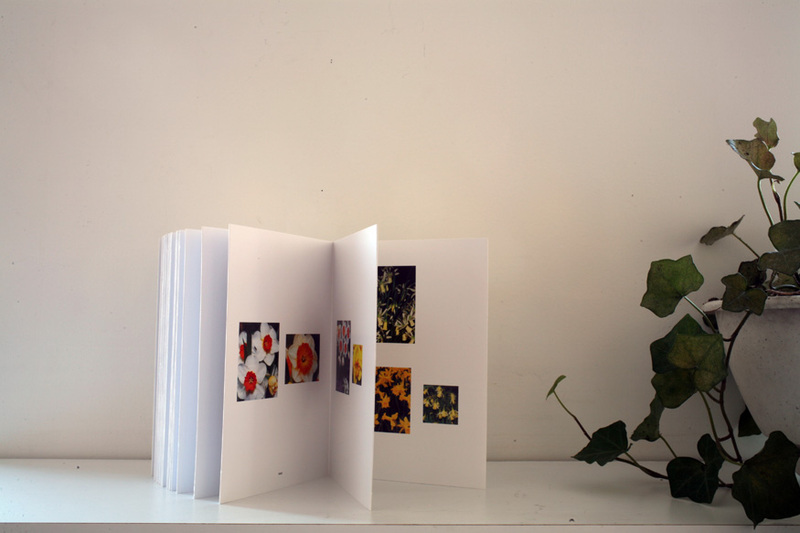 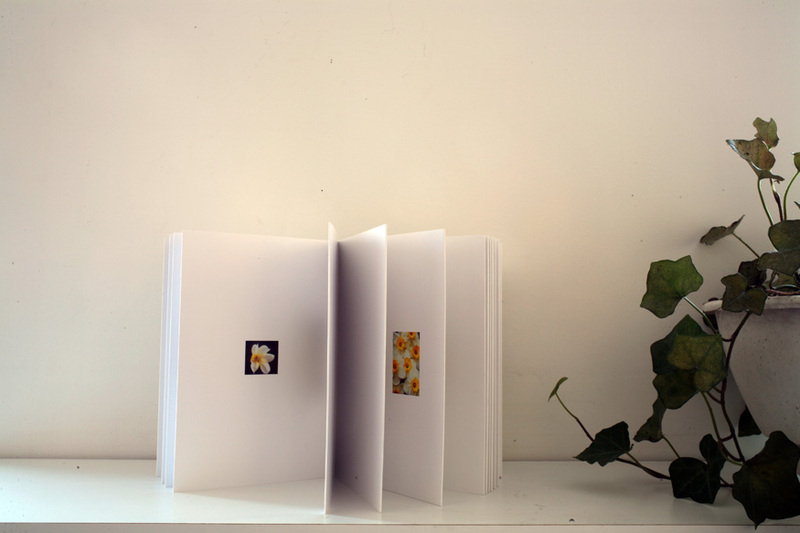 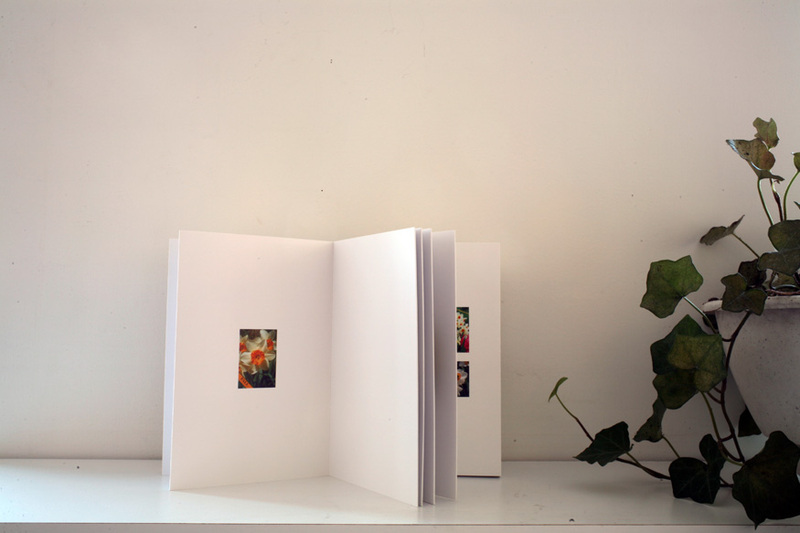 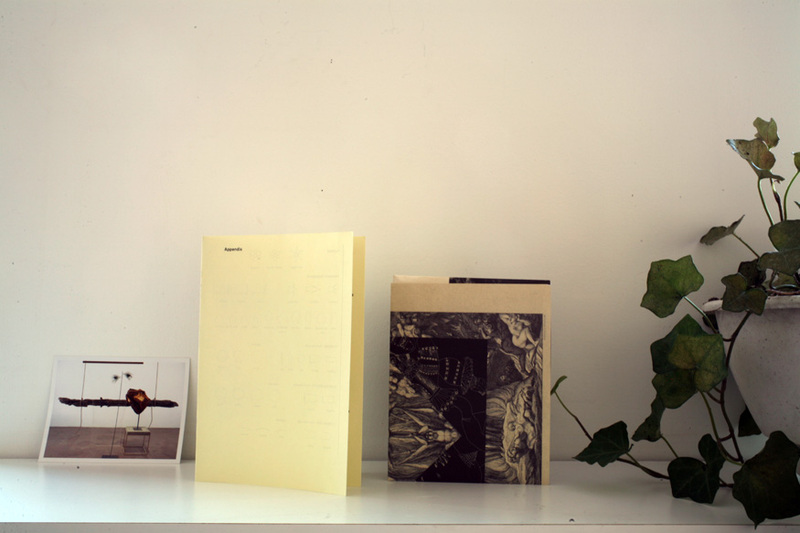 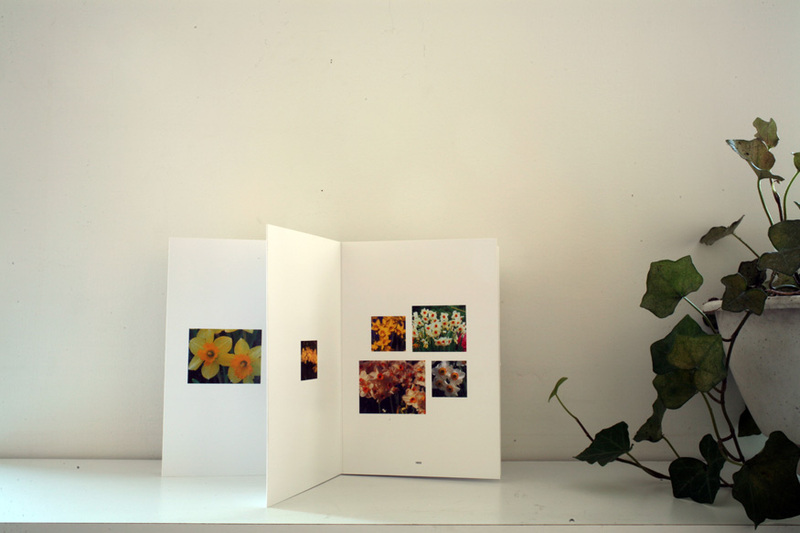 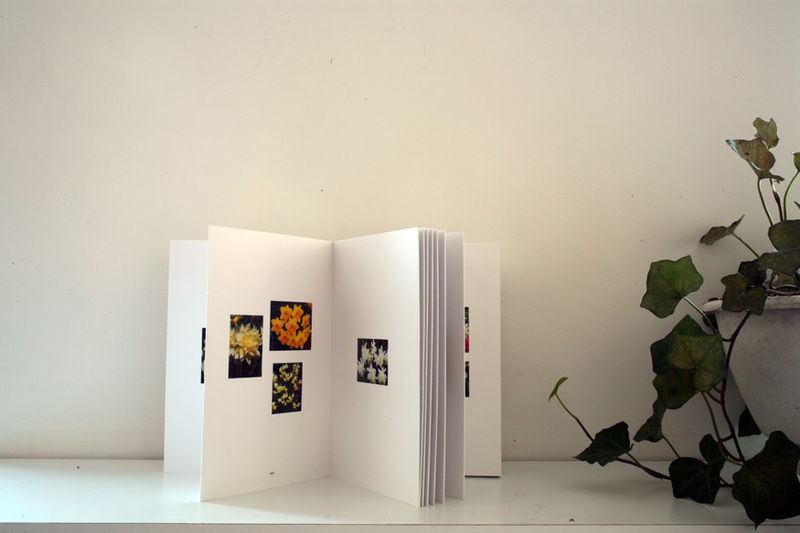 Collaborative artist book published on the occasion of Carol Bove's exhibition, Plants and Mammals, held at the Horticutural Society of New York, 2008. 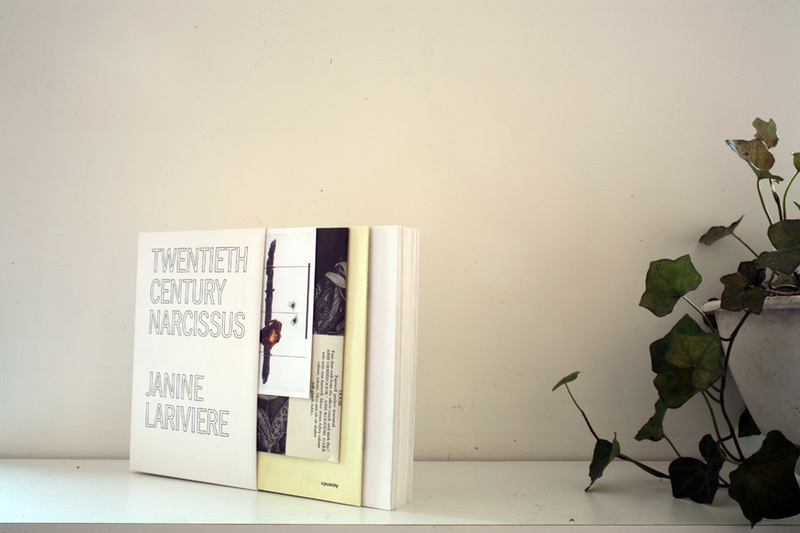 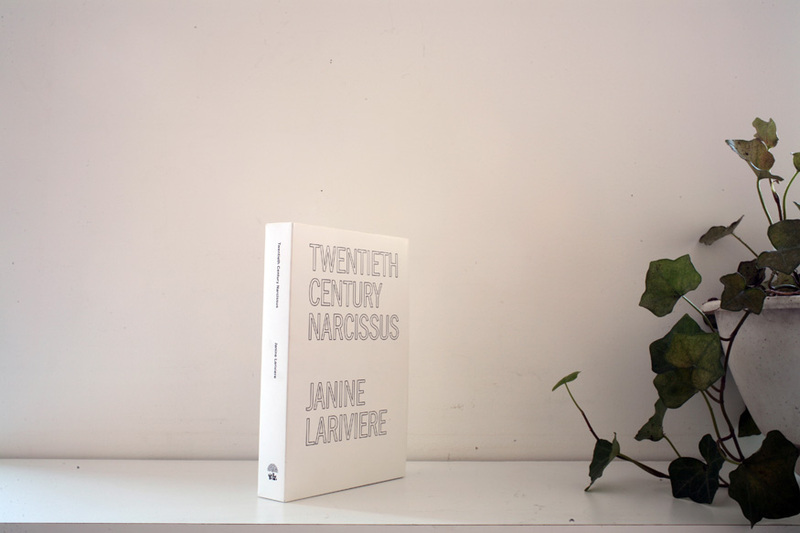 Includes a poster designed by Bove, a 4" x 5" c-print of Bove's sculptural contribution to the show and a fold-out, accordion-style picture book by Janine Lariviere, titled Twentieth Century Narcissus, that chronicles the narcissus cultivars, or daffodil to us laypeople, throughout the twentieth century. 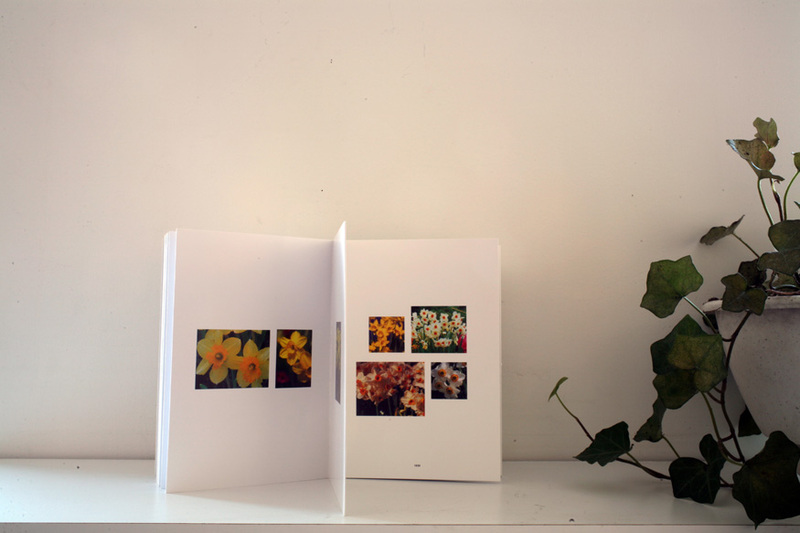 "The photos of flowers in this book have been taken from the gardening catalogs that came to my house between 2002 and 2005. 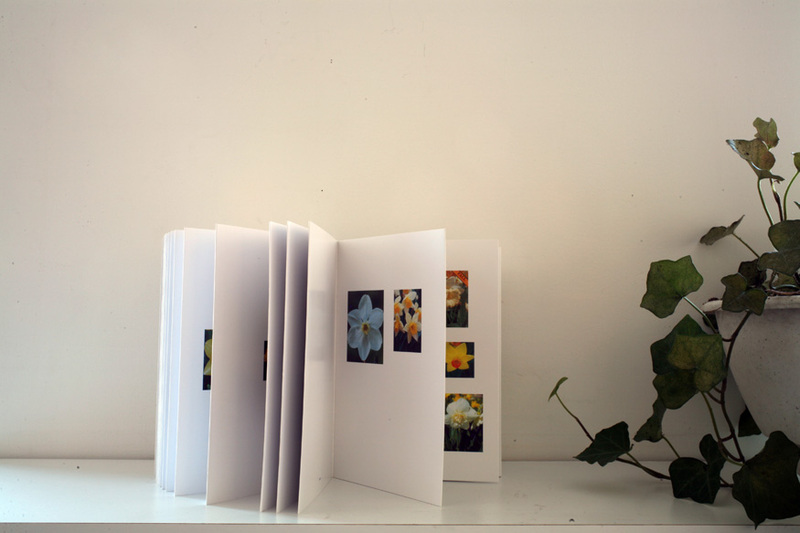 I composed a timeline with the photos according to each flower's date of origin. 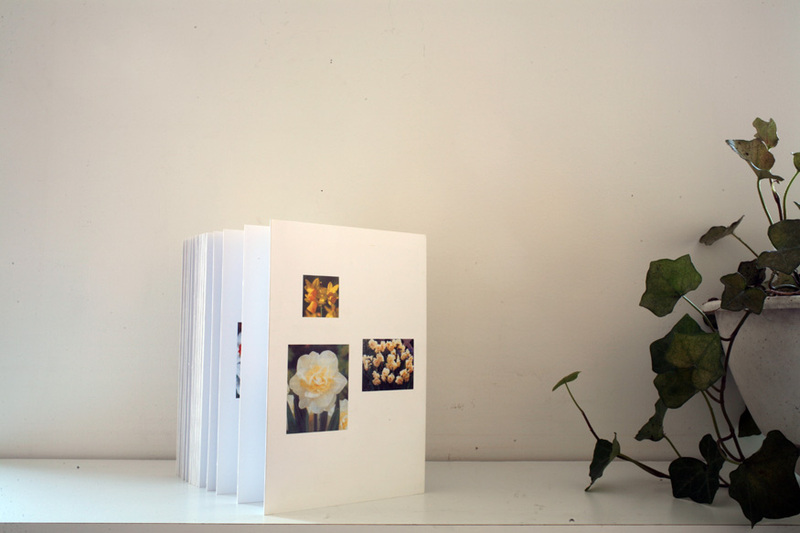 By no means is this an exhaustive encyclopedia of the twentieth century's daffodils. 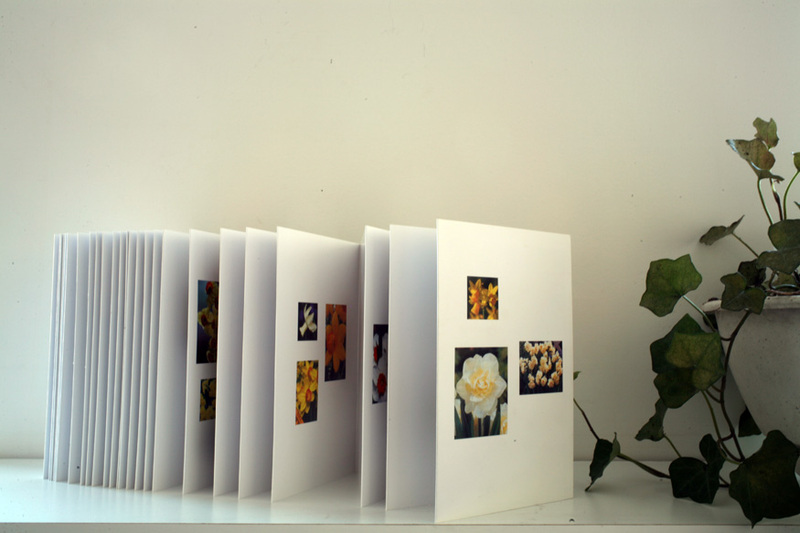 I hoped to have flowers for each year but instead found the flowers in varying concentrations throughout the century.